Most people worry more about their car than their health following an accident. 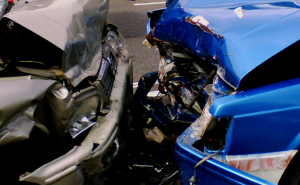 Damage to your car is temporary while injuries to your neck, back or extremities can be permanent. Even the so called “minor injury” or symptoms that develop days or weeks after your accident can lead to early arthritis in your spine, causing a lifetime of pain, stiffness and lack of mobility. If you were injured in any type of accident a Board Certified Physician should be your first call! Let the experts at Mayfair Injury Center thoroughly examine and evaluate the status of your health following a motor vehicle accident or personal injury. Early intervention is the best way to prevent future problems. Call today and schedule your free consultation with one of our Board Certified Physicians.